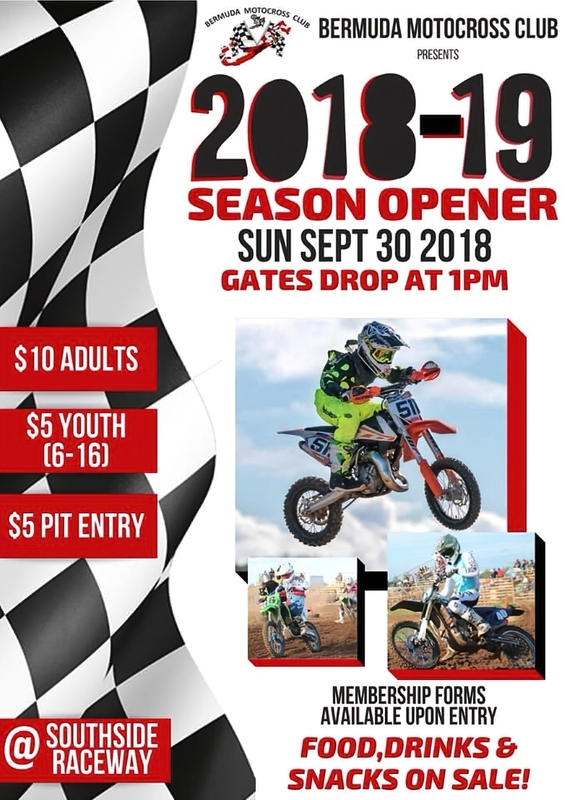 The 2018/2019 Bermuda Motocross Club Race season gets underway today [Sept 30] with the start gates due to drop at 1.00pm at the newly designed track layout at the Bermuda Motorsports Park at Southside, St. David’s. Admission is $10 for adults, $5 for youth aged 6-16, and there is an additional $5 charge for those interested in accessing the pit area. 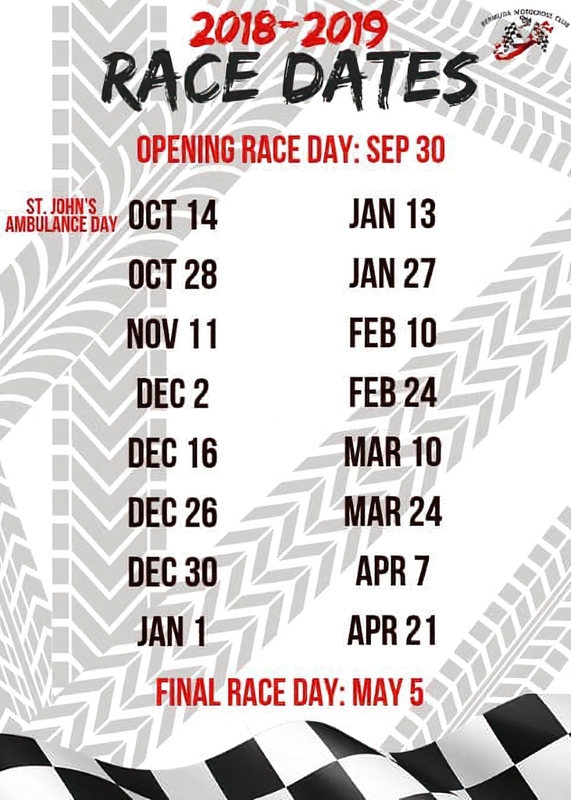 Food, snacks and drinks will be on sale, and club membership forms will be available for those wishing to become members.